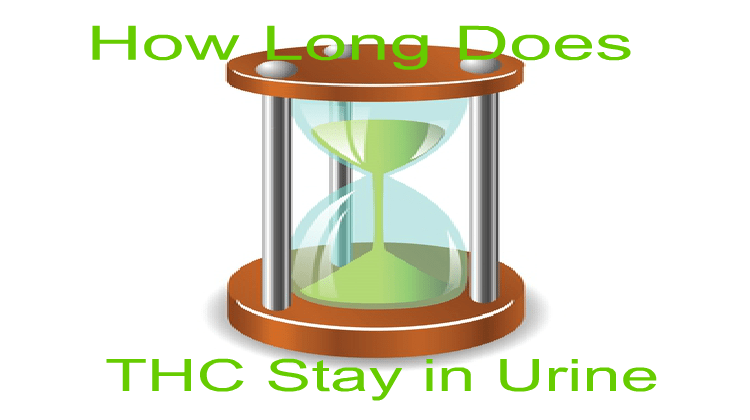 How Long Does Weed (THC) Stay in Your Urine?’ – Important Data You Need to Know!!! Estimated THC Detection Period in Urine Data. 4 Approaches of Cleaning Your Body from THC. Enough Time before Your Urine Drug Test. Not Enough Time before Your Urine Drug Test. ‘How long does weed (THC) stay in your urine?’ This is one of the most popular questions we receive on our website, Twitter and YouTube channel. If you want to increase your chance of passing your next urine drug test to the highest odds possible, you need to know when you will become “clean” from THC from the time you had your last joint. First, the THC detection period in urine depends on different factors such as a user’s body weight, life style, individual metabolism and how often marijuana is consumed. There are several important numbers you need to know in order to choose the right approach to pass your urine drug test. Following are the estimated THC detection periods in urine for different type of THC toxic exposure. Moderate THC Toxic Exposure – usually present in a marijuana user who has consumed marijuana occasionally within the past 30 days. Heavy THC Toxic Exposure – usually present in a marijuana user who has consumed marijuana several times a week including the past 30 days. Extreme Heavy THC Toxic Exposure – usually present in a marijuana user who has consumed marijuana every day including the past 30 days. Many weed users are confused as to why they cannot find the exact answer to their question: ‘When will I be clean from THC?’ Users provide as much of their case details as possible: body weight, life style, metabolism, how often they consumed marijuana. etc. We have even seen websites stating they have “magic” formulas, using statistical historic data, to calculate marijuana users’ THC detection period in urine. 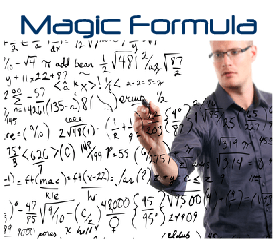 However, as there are at least four variables in such “magic” formulas, their results may be far from accurate. 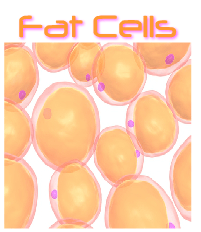 • The more fat you have in your body, the more THC spreads around – the ‘body weight variable’. • The more active you practice physical activities, the less THC stays in your body since you keep losing fat cells– the ‘life style variable’. • The faster your metabolism, the easier THC cleans out of your body – the ‘metabolism variable’. 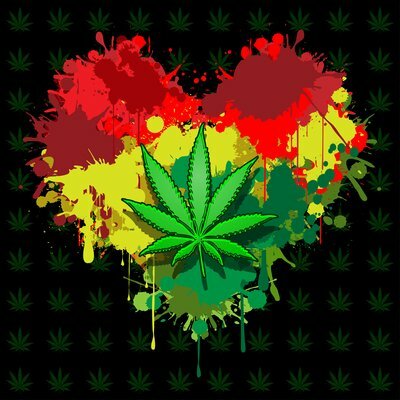 • The more you smoke, the more THC stores in your body fat cells – the ‘how often you consume marijuana variable’. To have a better understanding as to why it is not possible to get an exact answer to your question, you need to have a clear picture of what happens in your body after using marijuana. After you consume marijuana, THC, a chemical compound found in the cannabis (“marijuana”), gets stored in the body fat cells in every part of your body. When your body later uses those fat cells, the THC is released into the blood stream, metabolized and passed into your urine and hair. According Wikipedia, THC and its major (inactive) metabolite, THC-COOH, can be measured in blood, urine, hair, saliva and sweat. Urine contains mostly THC-COOH, while oral fluids and sweat contain primarily THC. Hair and blood may contain both substances. Second, knowing the estimated length of your THC detection period in urine should help to choose the right approach of cleaning your body from THC. There are many well known approaches that can help you rid THC from your body fat cells. 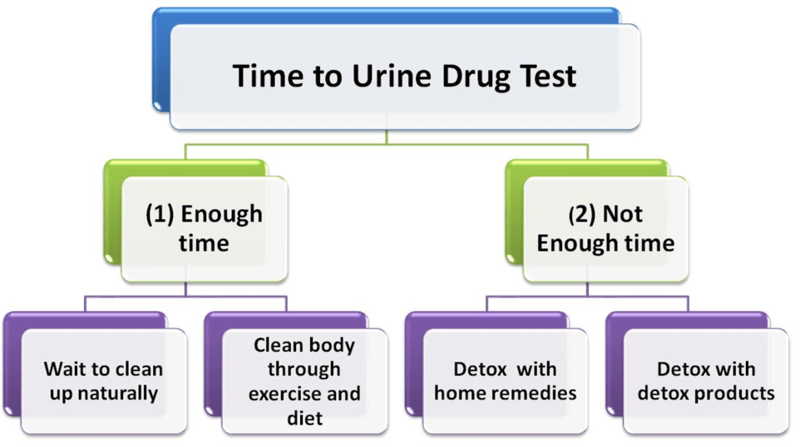 Depending on how much time you have till your urine drug test, you can take one of the following approaches. Waiting to clean your body naturally. THC will clear out of your system naturally over a period of time. You just to need to determine what kind of smoker you are and wait patiently for the THC to clear based on the estimated time presented in the table above. For example, if you have smoked only a couple of times in the past 30 days, you most likely have a Light THC Toxic exposure. 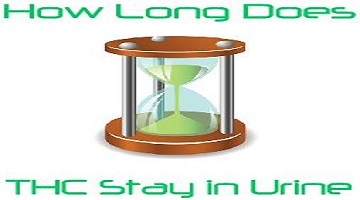 Estimated Length of THC Detection Period in Urine for a user with a Light THC Toxic exposure is up to 4 days. So, you need to abstain from marijuana for 4 days before your test and your body should be clean from THC. You always can check the results with a home drug test. 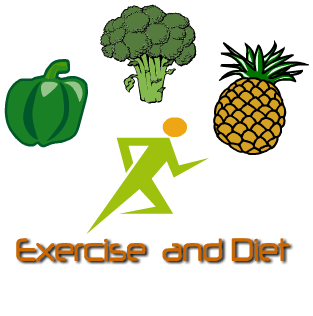 Cleaning your body through exercise and special diet. If you would like to expedite the natural THC cleaning process by several days, you may start detoxing your body through aerobic exercises several hours a day along with spending time in a sauna and healthy diet. Detoxing your body with home remedies. You can find many popular home remedies recipes online with hundreds of users’ testimonials claiming that they have use a certain home remedy and successfully passed their urine drug test. However, if you dig closer into their claims, you will find as many unhappy stories of people failing their drug test using these home remedies. Trying to save money, weed lovers keep using old popular recipes such as Certo, and a relatively new one – Palo Azul Tea. We have not seen any actual proven facts that any of the home remedies recipes are reliable approaches for most marijuana users. We have seen many negative testimonials on detox products in different forums. Many users failed their drug test using such products because they did not know what products to choose and how to use the products. In addition, it is imperative to check product and a company reviews. ‘How long does weed (THC) stay in your urine?’ This is one of the most popular questions we receive on our website, Twitter and YouTube channel. In this article, we will be talking about: (1) estimated THC detection period in urine data; and (2) how to choose the right approach for cleaning the body of THC, knowing the estimated length of THC detection time in urine. I took about 4 puffs from a blunt about 13 days ago. I’ve never smoked before that. I gave my drug test today. Im a male 6’1 about 172 pounds. Should i worry? Jay.. I think you should have already become clean by now. I would recommend checking your THC levels with a home urine drug test tonight. This will show if you can pass it or not. Carlos..How long it will take you completely detox from THC depends on your THC exposure, life style and metabolism. I would recommend evaluating your THC exposure and checking your THC levels with a home urine drug test and go from there. If you still test positive, in order to speed up your natural body detoxification process, you might consider completing a 5 or 10 day whole body detox program. Please read all details here. HelpWanted..As I mentioned before if you became clean after 2 months of abstaining (tested negative on a home urine drug test), you should have already become clean by now. I think your THC levels should be below cutoff levels now. The best way to find out your THC levels is using a home urine drug test today and go from there. I’m a female weighing 110 lbs and 5’1″. I was a daily user up until mid-April and have been smoking periodically since. In between April and now there have been periods where I hadn’t smoked in 20 days. I haven’t smoked in 10 days and prior to that I smoked 1 gram over a course of 7 days. I eat a very healthy diet and have an active lifestyle and high metabolism. I’ve taken a pre-employment test years ago being a heavy user and drank a masking drink after abstaining for 14 days and passed. I don’t have a set date for the test but I imagine I will have to take in the next ten days. I’m planning to purchase an at home test tomorrow to see where my levels stand. I only drink water so how much should I avoid drinking prior to taking the at home test so that it’s not too diluted? Thank you! HeavyLightWeight ..I would say just drink your usual amount of water without adding extra liquids before using a home urine drug test. If you would like to see consistent results, I would recommend checking your THC levels at least a couple times during a 4-6 hours period. This will show where you really stand now. Nerves..I think you can test positive for THC from 35 up to 75 days since your last use. So, if you have very fast metabolism you might be able to detox naturally by your test date. But, this is now guarantee though. If you would like significantly speed your natural body detoxification process, you might consider completing a 10 day Toxin Rid whole body detox program. Please read more details and our recommendations in our detox program review here. Hello I used to be a heavy weed smoker about a blunt a day I am 220 pound female I’m not too active..I found out I was pregnant and stopped it’s been a month since I stopped. I went to a job interview today and actually failed for THC but they said they would send it out to the lab to check my levels .. do you think my levels would be low?? Sabrina.. I am afraid that your THC levels might be still pretty high because of your heavy THC exposure and extra weight. Ivan.. I think your chances of passing your urine drug test are pretty good. I always recommend taking a home urine drug test before the actual test. This will pretty much let you know what the outcome of your test will be. Hello I’m a 135ish pound male 6’ 2 in height and haven’t smoked in about 23 days. I have a high metabolism will I be clean for a test I have in two days thank you. Was a heavy smoker before I stopped a couple spliffs a day. Kofi..If you have a very fast metabolism there might be a chance that you are clean now. I would recommend checking your THC levels with a home urine drug test tomorrow. This will show where you stand and what you should do next. If you test positive, you might try rescheduling your test or on your drug test day try using a detox drink like Mega Clean (50/50 chances though). Ricky.. If you were clean (tested negative on a home urine drug test) after 2 months of abstaining, you should have a good chance of being clean but now. I would recommend checking your THC levels with a home urine drug test and go from there. If you still test positive, on your drug test day you might try using a detox drink like Mega Clean. I smoked a few times in between August and first week of September. Did a 5 day detox 9/5-9/10th puriclean cleanse and continued to drink water all day and four days after. Took 5 home drug tests that resulted negative. Then I took the real test on the 14th and it came back as negative but dilute. I had to retest yesterday and I’m so nervous. Im assuming I’d pass but the nerves got me. I’m 5’6 135lbs. I lost weight during my cleanse and I’d say I’m pretty active. Nervous girl.. I think your chances of passing your urine drug test are pretty good. I would recommend checking your THC levels with another home test without drinking too much water tomorrow. This will show the outcome of your test. I am a male 170 pounds 5’8. I smoked a blunt a day up until the 9th or 10th of September. Play basketball for a good 1-2hours 5 days out of the week. I had a drug test on the 18th of september that came back inconclusive after drinking qcarbo to detox my system. I got a request to retake the test by the 22nd. I have not smoked since 9th or 10th or since detox, played ball the same amount in a humid gym and I have drank water and sports drinks. Do you think I will pass without another detox drink? Bob..I think with QCarbo32 your chances of passing your urine drug test in 2 days are 50/50 and without any detox products 20/80. I would recommend rescheduling your test for as long as you can. This will give you time to detox properly. If you are able to reschedule, come back to me for further recommendations. I’m not a heavy smoker, I smoked a gram 3 weeks ago and before that smoked a gram about every 10 days or so (I was working out back then). The last gram took me like 2-3 days to finish it 3 weeks ago. I’m a female 5’7” 170 lbs about 30percent body fat. do you think I’ll be clean by now? 3 weeks later? I take a multivitamins everyday, although I’m not as active now. Risaaaa.. I think you have a chance of being clean by now. I would recommend checking your THC levels with a home urine drug test tomorrow. This will show where you stand now. Going to take a dot test and am worried about it. Spezialed..Though I understand your goals, you put me in an awkward position when you mention the reason for your test. It is our policy not to answer these questions for legal reasons. In general, we have seen that users who passed their home urine drug tests had a good chance to pass their actual drug tests. In order to have consistent results, I always recommend checking their THC levels several times with different home urine drug test brands. Hi I’m 5″10 and 135 lbs I smoked a blunt yesterday i have a drug screen at 8a.m what do I do?? Kendrick..Sorry for a delayed reply. If you are a light user before your last time smoke, using a detox drink like XXTRA Clean should be helpful to drop your THC levels below cutoff levels. However, if you are moderate or heavy user, the best plan would be to reschedule your test for as long as you can as detox drinks like XXTRA Clean won’t be effective enough in such case. If you cannot reschedule your test, we have seen that some users try using synthetic urine as their emergency plan. I have a drug and alcohol test next week, most likely in the next 5 days. Last I smoked (vape pen) was a week ago, today. I would consider myself an occasional/moderate smoker. Been clean for many months and just recently in the last couple months have taken a couple hits from my vape pen here and there after work. What are my chances you think? Freddrick..You have a chance to detox naturally if you keep abstaining from vaping marijuana. You can speed up your natural body detoxification process through light aerobic exercise, visiting a sauna, eating healthy and drinking plenty of water. You should stop any exercise 24 hours before your urine drug test. I would recommend getting several home urine drug tests. This will help to monitor your detoxification progress. If on the night of your test you still test positive, on your drug test day you might consider drinking a detox drink like Mega Clean. Don’t forget checking where you stand in one hour after taking the drink. This will show the outcome of your test. I am a 20 year old female, about 108 pounds, and I think I have a fast metabolism. Well I smoked maybe 2-4 hits day for about 3-5 days around last week or the week before. What are my chances of passing a drug test by say monday? Definitely not a regular user. That was the first time smoking in years. Kendall..You might test positive for THC up to 7-10 days since your last use. I would recommend checking the exact time when you smoked last and go from there. In your case, I think using on your drug test day a detox drink like XXTRA Clean might be effective enough to drop your THC levels below cutoff levels. Don’t forget checking your THC levels with a home urine drug test in one hour after taking XXTRA Clean. This will show the outcome of your test. I am about 5’6 220lbs female and I quit smoking June 20.2018. I have a job drug test coming up tomorrow and want to know would I be clean? I used to be quite a heavy smoker but I stopped as you read a little over 3 months ago. I took 3 one dollar test and 2 came back negative and one came back positive then I bought a 12 dollar home test and that one came back negative. I’m super paranoid about it and just wants some sort a reassurance. Dee..I think you have a pretty good chance to being clean by now. To be on the safe side, I would recommend checking your THC levels with a couple of reliable home urine drug tests. You can purchase them at any big chain drug stores like Walgreens or CVS. They make sure to sell good quality products. Gragon..Without knowing your smoking history for the last 3 months, it is impossible for me to say how long you will test positive for THC. I would say if you are a light user, once a week, you might test positive up to 7 days since your last use. If you are a moderate user – up to 10-12 days and if you are a heavy user- from 45 up to 90 days since your last use. If you are a moderate or heavy user and have enough time until your test, in order to increase your odds of passing your urine test, you might consider completing a whole body detox program. Please read more details here in my post:”Toxin Rid Detox Review-What is Best for You?”. Been clean since 14 months on Thursday took only one hit….. its been 5 days since that hit. Im 6’’2 225 pounds probably have to pee today should I have to worry? Joe.. I think you have good chance to being clean by now. I would recommend using a home urine drug test today. This will show where you stand and what you should do next. I just took a pre employment urine test yesterday, 10/23. I’m a female, 5’3” and very over weight. I smoked once now 18 days ago, the night of 10/5 and before then it was probably about a month since I last smoked. The following week after 10/5, my eating habits weren’t horrible but not great. I worked out a couple of days. The next week though I was eating very healthy, only worked out a couple days but I was drinking 64+ oz of water everyday. The night before my test, 10/22 I did a hard 30 minute workout to try and sweat more out. How are my chances looking for passing? Anonymous..If you didn’t smoke much during the last 3 months, you have a good chance to pass your urine drug test. If you used a home urine drug test on the night of your actual test, you would have already known the outcome of your test. For the future reference, we always recommend avoiding any exercise activities at least 24 hours before the urine drug test as this will increase your THC levels in your urine. I stopped smoking marijuana 7 months ago. I took 3 hits of a blunt 1 week ago. Will i test positive for a upcoming drug test November 26, 2018? Nemo..You should have already become clean by now. I would recommend checking where you stand with a home urine drug test now. If you keep abstaining from using marijuana, you should not have any problems with passing your urine drug test on the 26th of November,18. Hi, I am a 5’7 180 pound male, I have smoked 2 times in the last 30 days, and I am going to smoke again today, I have 22 days until my drug test, should I be ok? I smoked 6 puffs of a joint on friday night for the first time and had a random drugs test inspection on the Tuesday night, im 75kg, fast metabolism, daily gym user. Is 4 days enough time or should i be worried? Fishyg.. I think you have a good chance to being clean by your drug test day. By using a home urine drug test you will find out if you can pass it or not. Hello I quit smoking for 35 days and I would say I was a frequent smoker but not heavy…well then I smoked for five days straight and quit again. It will be seven days this sunday….i am 5’6 female. 47 years old bout 145 pounds but I am very active How long would it take possibly for me to pass a pee test? Debra..If after 35 days of abstaining you tested negative on a home urine drug test, then after your recent 5 days of smoking, you might test positive for THC for up to 10-14 days. However, if you didn’t detox completely before, you might test positive for up to 18-20 days. If you would like to speed up your natural body detoxification process, you might consider completing a 5 day whole body detox program. Please read more details here. Jeremy..If you became clean after 2 months of abstaining (tested negative on your home urine drug test), after your recent marijuana smoke, you have a good chance to being clean in a week. However, if you didn’t detox completely after a year and half, there is a high chance that you will still test positive for THC in 1 week. If you want to be on the safe side, you might consider completing a 5 day whole body detox program. This will help to detox your body properly. Please read more details here. Otherwise, you can check your THC levels with a home urine drug test on the night of your test. If you still test positive, on your drug test day you might try using a detox drink like Mega Clean. Don’t forget checking where you stand in one hour after drinking Mega Clean. I am 6’5 170 pounds roughly with a very high metabolism. I havent smoked in 3 weeks but I did smoke heavily. Dollar tree drug test reads positive, are these reliable. When do you think I should be clean? Christopher..In your case, you might test positive for THC from 35 up to 75 days since your last use. If you would like to significantly speed up your natural body detoxification process, you might consider completing at least a 10 day detox program combined with aerobic exercise, visiting a sauna and eating healthy. Please read more details here. I would recommend using different brands of home urine drug tests. You can find them at Walgreens of CVs drug stores. They make sure to sell more reliable products. Ken..If you were not a heavy user before those two times, you should have already detoxed by now. I would recommend checking your THC levels with a home urine drug test tomorrow. This will show where you stand and what you should do next. Hello, My drug test is mid day tomorrow and it was about 10-12 days since i last smoked. I smoked maybe a gram or less in a 3 day period but have been drinking lots of water and using the sauna. I weigh 105lbs at 5’4. Will i be good ? Thank you. JB..Without your smoking history during last 3 months, it is tough for me to say if you can pass your test or not. I would say if you were a moderate user, your chances of passing your urine test are pretty good. But if you were a heavy user, you might still test positive for THC. I would recommend checking your THC levels with a home urine drug test tomorrow. This will show the outcome of your test. I smoked high grade weed for 13 days, from October 3 until October 13th 2018. Before that I would smoke for 13 days at the beginning of each month, for 4 months. Haven’t touched anything since October 13th. I’m about 350lbs. I wanted to know would I be clean in January 5th 2019? Curiousojayne..Because of your heavy THC exposure and extra weight, you might test positive for THC from 45 up to 90 days since your last use. I would recommend checking your THC levels with a home urine drug test tomorrow and go from there. If you still test positive, if you would like to significantly speed up your natural body detoxification process, you might consider completing at least a 10 day detox program combined with light aerobic exercise, visiting a sauna and eating healthy. Please read more details here. I smoke like 4-5 days a week for a year. Each time I take 4-5 puffs. how will I look within 10 days? am I moderate user or heavy user? Josh..I would classify you as a heavy user. You have a very good chance to test positive for THC in 10 days. If you would like to speed up your natural body detoxification process, you might consider completing a 7-10 days whole body detox program. Please read more details here. If on the night of your test you still test positive on your home urine drug test, then on the day of your test you might consider using a detox drink like Mega Clean. Hello, I am 135 lbs and 5’3 . I last took 2 hits from a vape pen on 12/24. The last time before that was on 10/27, in which my home test was negative after 2 weeks. I am not a user, I did it for fun and peer pressure. I have a drug screen on 1/11. My diet consist of plant protein and lots of green foods and fruits, and I drink mostly alcaline water 9.9 Ph. Should my test come out clean after 18 days? CuriousCat..I think that you should have already become clean by now. So, you should not have any problems with passing you test in 2 days. To be on the safe side, I would recommend checking your THC levels with a home urine drug test tomorrow. This will show if you can pass it or not. Juju..In your case, you might test positive for THC from 45 up to 90 days since your last use because of your very prolonged and heavy THC exposure. So, without proper body detoxing your chances of passing your urine test on the 28th of January are pretty low. I would recommend completing at least a 10 day whole body detox program and go from there. 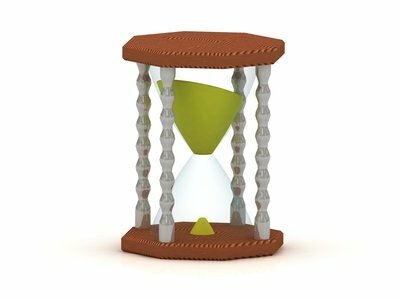 If after completing a detox program you still test positive on a home urine drug test, this means that you need more days of detox program or wait a bit longer to detox naturally. Please read more details about the program here: Toxin Rid 10 day Detox Review.